There is a memory curve when people forget knowledge. I still know the multiplication table and the states and capitals. I don’t recall all of the Gettysburg Address or Night Before Christmas, both which I had to memorize when I was younger. I started journal to keep a journal (a record) of interesting things I had read and learned (in the late 90s). I wanted to make sure I didn’t lose information because I know I’m forgetful. Occasionally I’d write thoughts and feelings about movies or social situations too. It was my book of important information. Most of my journal entries were based on psychology, success, achievement, persuasion, and people skills. I jotted down things that I was curious about and things I wanted to remember. I had written book reviews or lists of books I wanted to read. I would write about outcomes from interesting research studies that I read about. And then I discovered the world of blogging! I started blogging around 2004. Blogs have several benefits over a handwritten journal. Blogs have several benefits over journals. Benefit # 1: Search tools make it easier to search and find information. That’s convenient. Benefit # 2: Tags make it easier to put information together too. Benefit # 3: Personal notebooks and journals are closed from the world. My blog is posted so the world can read it. My blog has moved locations over the years. My first blog was at Myspace.com (myspace for the rec therapist). I had a large following on myspace and a lot of content (which has disappeared when the myspace platform died out). It’s cliché – but don’t put all your eggs in one basket. I lost that basket full of eggs. I started two separate blogs using blogspot. One was a blog on books (because I love books), which I called hidden secret wisdom because books are filled with hidden wisdom. I post most of my book reviews at my rec therapy today blog now. 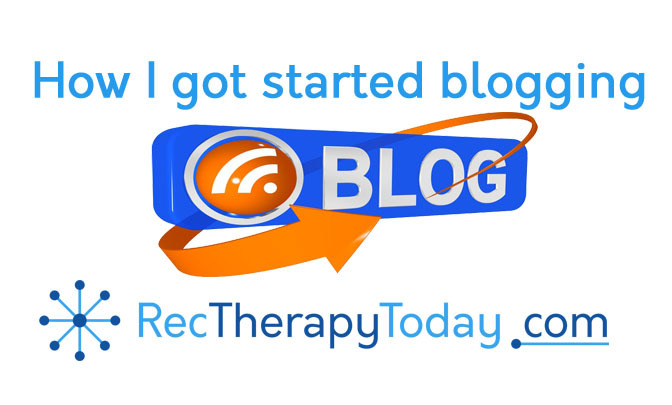 My second blog, was on Recreational Therapy. It was formerly at blogspot, but I moved it to wordpress around 2016. Never miss an issue of Rec Therapy Today! Sign-up for our FREE email newsletter at our home page! Click here now.